An unlocked iPhone means it can use any cellular network, so long as you have a compatible carrier SIM card. Due to this, unlocked iPhones are more valuable and highly desired for both local and international users, because it allows you to use any GSM carrier whether at home or abroad just by swapping out SIM cards. But how do you know if an iPhone is unlocked or not? You usually can’t tell just by looking at it, but we’ll show you how to find out if the device is factory unlocked or not using one of three methods. If you plan on doing some international travel, you’ll want to check before you leave. Similarly, if you plan on buying or selling an iPhone, you’ll want to check if its unlocked or not before completing the transaction. First, here are a few safe assumptions: if an iPhone was bought on contract, it will probably remain locked to that carrier. Exceptions to this are if an iPhone has been manually unlocked by a provider (many CDMA carriers will unlock the SIM card slot on iPhone models even while in contract, you just have to ask), or if an iPhone has ended its contract and the device has been unlocked per request, such as you can do with AT&T. On the other hand, if you know that the iPhone was bought unlocked from Apple by paying full price, then you don’t need to do anything other than swap in whatever carrier SIM card you want to use. By far the simplest way to determine if an iPhone is unlocked or not is to swap in another GSM provider SIM card, wait a moment or two, and see if the iPhone gets service. That’s all you will need to do, but this assumes you have access to another GSM SIM. For example, in the USA you could check if an AT&T iPhone is unlocked simply by borrowing a T-Mobile SIM card, placing it in the iPhone, and seeing if the device gets service. Either use a friends SIM card or visit a T-Mobile store and they’ll be able to check for you. 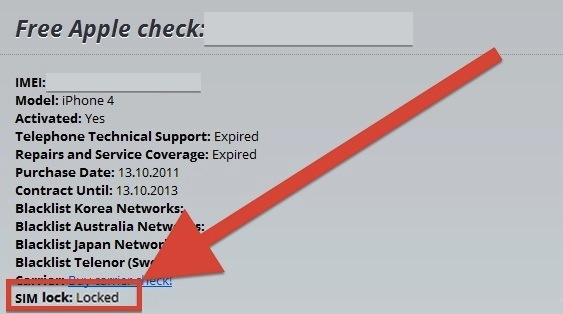 If you don’t have access to alternative provider SIM cards, you can also check through the web using the next method. IMEI.info does have a limitation in place for checking up to three IMEI numbers per day, that limit is IP based and not cookie based, so you’ll need to use a proxy or VPN if you want to go beyond that limit for some reason or another. And yes, IMEI Info will also find unlock statuses of Android phones and other devices as well, even the antiquated dumb phones of yesteryear. This message is what you’ll see if you went through the free unlocking methods offered by AT&T after a contract is over, or if you requested a SIM unlock through Verizon or Sprint while still on contract. allowed to install 3rd party applications on your i – Phone. hackers chose to exploit for that software. When I checked if my iPhone has or hasn’t factory unlock, on SIM lock it was said Unknown. What does it mean? IMEI method only gives an error after harvesting Facebook info. I smell a scam. Use a fake Facebook account or one set up just for sites like these. I agree they make you sign in on g+ or Facebook n ask to see your email address n then say sorry we are experiencing technical difficulties or unknown please try again later or in a few minutes!!! It’s total bulls*$t!!!! I would bet a million bucks u start receiving a boat load of spam emails too! Put a SIM card into the iPhone, you don’t need to put any facebook, email, or G+, you just put a SIM card into the iPhone to check if it’s unlocked or not. SO easy. Use the SIM Card method. But if you do not have the cellphone with you (aka you want to buy one second hand and want to check if it is unlocked or not), what do you do? i had the same issue, i didnt see any spam emails yet, but i just gave them my info, i just wanna know if i can bring my phone to another damn carrier without having to take it out of its protective case, because while i DO have the protection plan i dont want to have to go thru all of that if it DOES break! its not worth the risk! Method 3 has helped me. IMEI scam…they want you to sign in, like their page, but then they tell you their service is unavailable. And almost a year later, it says the exact same thing. It has been two years…History continues…. they tell you their service unavailable, but you can pay for a more reliable service! BS! 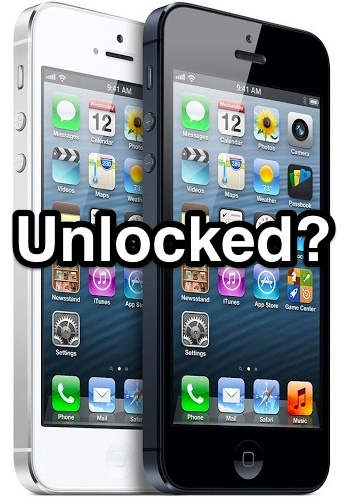 Yeah, When I checked if my iPhone is locked or not, on SIM lock it said Unknown. What does it mean? I have tried method number two but it did not work even after liking their page! I tried method 3 and itunes did not tell me if my device was unlocked even though I was approved for an unlock through my carrier. Before I tried method 3, I tried method 1 with a SIM card from a different carrier and it worked. Ask your fellow call center scammers, sasquatch. my phone has finished the contract and i want to use it in india , how cani get it unlocked? This service is temporarily not available, check again ina few days or try paid version which works well. How to find lock status in my iPhone check result? I purchased an iPhone 5 original carrier was T-Mobile , I tried it with a T-Mobile SIM card and it worked fine after that I insert an AT&T SIM card and it also worked fine , this means the phone is unlocked right? Thanks for the info . I want to switch from Tmobile prepaid to Boost Mobile – I have an iPhone 4s, which I was told I could not use because it was not compatible to the coma – only gsm, even though it was unlocked – and supposedly can take a Boost Mobile Sin card; so I’m looking for an unlocked 5s iPhone – that I can use with Boost mobile – that’s unlocked – how do I go about making sure they are really unlocked – and will be compatible? Who sells those phones? IMEi. Info is a scam. Just keeps saying, service temporarily unavailable, but will work right away if u join their paid service. Scamming liars. Put in a different SIM card, if it works, the iPhone is unlocked. Easy.